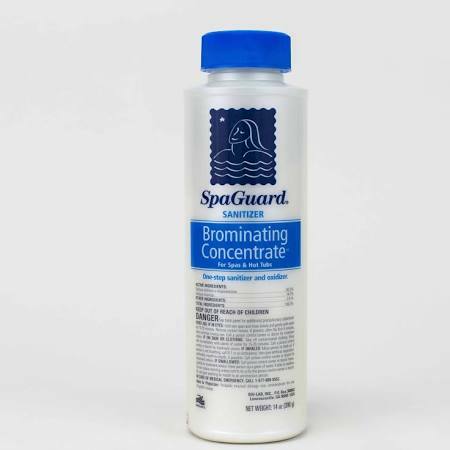 Spa Sentry is an easy, one step liquid for maintaining a stable, comfortable pH and softening your hot tubs water. 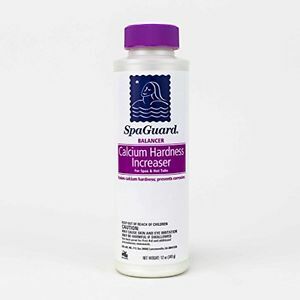 It makes balancing the water extremely simple, eliminating the need for many other water balancing treatments you may currently be using. Controlling the pH of your hot tub water is an important part of maintenance. Spa Sentry not only establishes proper pH, but prevents pH from “drifting” so your hot tub and its equipment are protected. 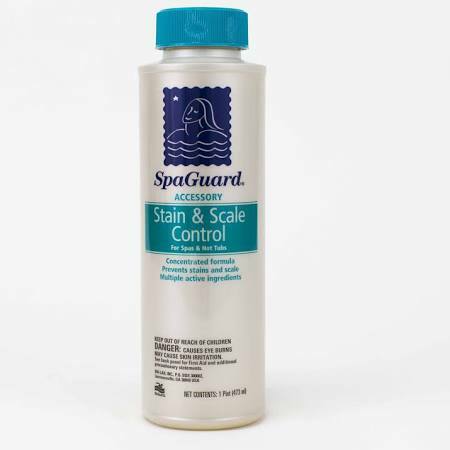 At the same time, it softens the water by removing dissolved calcium, for a cleaner, more comfortable hot tub. 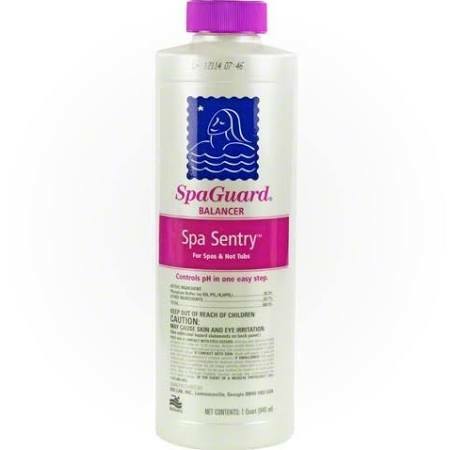 Spa Sentry also enhances water clarity and helps prevent stains from dissolved metals in fill water. The result is a spa that is easier to maintain and enjoy.